Identification of a physical system deals with the problem of identifying its mathematical model using the measured input and output data. As the physical system is generally complex, nonlinear, and its input–output data is corrupted noise, there are fundamental theoretical and practical issues that need to be considered. Identification of Physical Systems addresses this need, presenting a systematic, unified approach to the problem of physical system identification and its practical applications. Starting with a least-squares method, the authors develop various schemes to address the issues of accuracy, variation in the operating regimes, closed loop, and interconnected subsystems. Also presented is a non-parametric signal or data-based scheme to identify a means to provide a quick macroscopic picture of the system to complement the precise microscopic picture given by the parametric model-based scheme. Finally, a sequential integration of totally different schemes, such as non-parametric, Kalman filter, and parametric model, is developed to meet the speed and accuracy requirement of mission-critical systems. 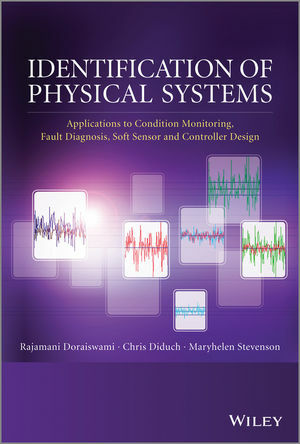 Identification of Physical Systems is a comprehensive reference for researchers and practitioners working in this field and is also a useful source of information for graduate students in electrical, computer, biomedical, chemical, and mechanical engineering. Rajamani Doraiswami is Professor Emeritus in the Department of Electrical and Computer Engineering at the University of New Brunswick. Dr. Doraiswami is known internationally as an excellent researcher, has held an NSERC operating grant continually since 1981 and has published more than 60 papers in refereed journals and 90 conference papers. Dr. Doraiswami's research interests focus on control, signal processing, pattern classification and algorithms. One of his most successful collaborations has been in the development of laboratories for the teaching of analysis and design of control and signal processing systems in real-time. Chris Diduch is a Professor in the Department of Electrical and Computer Engineering at the University of New Brunswick. His research is in the fields of control systems and digital systems. Maryhelen Stevenson is a Professor in the Department of Electrical and Computer Engineering at the University of New Brunswick. Her research is in the fields of pattern classification, speech and signal processing, adaptive systems and time-frequency representations.